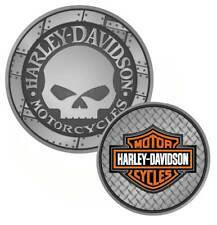 Harley-Davidson® Willie G. Skull Challenge Coin. Features Willie G. Skull Logo on front. Bar & Shield logo on back. Size: 1.75". Harley-Davidson Willie G. Skull Challenge Coin. Front features Willie G. Skull Logo. Upwing Eagle. New - Harley Davidson Decal. All have Matte Finish. Model : Zippo Harley Davidson Japan Limited 2016 Model. 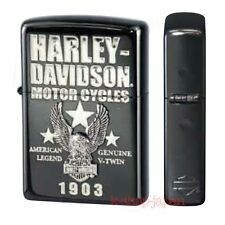 Model : Zippo Harley Davidson Japan Limited 2016 Model. New Arrival! Style: Biker Patch. Up for your consideration is a embroidered Motorcycle Uniform Patch. It is new and unused. Your patience is appreciated. Main Color: Black. MPN: Spa3056. Size: 4" x 2.75" approx. Style: Biker Patch. Up for your consideration is a embroidered Motorcycle Uniform Patch. It is new and unused. Main Color: Black. Your patience is appreciated. MPN: Spa3054. Size: 4" x 3.5" approx. [Second hand] Japanese Book. Even if you couldn't read Japanese,We are sure you will enjoy reading. This book is sold in only Japan. It's very rare book. NEW> EXCELLENT> VERY GOOD >GOOD>FAIR. Style: Biker Patch. Up for your consideration is a embroidered Motorcycle Uniform Patch. It is new and unused. Main Color: Black. Your patience is appreciated. MPN: Spa3059. Size: 3.5" x 3" approx. Style: Biker Patch. 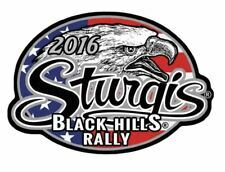 Up for your consideration is a embroidered Motorcycle Uniform Patch. It is new and unused. Main Color: Black. Your patience is appreciated. MPN: Spa3053. Size: 3.5" x 3.5" approx. February 2016. The Horse Magazine. March 2016. The Horse Magazine. April 2016. The Horse Magazine. Another unique item for the discriminating motorsports collector. More than just a pretty picture. FREE scheduling, supersized images. "Have no fear with the Daredevil". Bling decals. 2 Peel and Stick Decals. Self adhesive Deals. This Harley Davidson Bling Bar and Shield has 2 decals about 1X1 ea. They are self adhesive and will adhere instantly. These would look anywhere. Bling decals. 2 Peel and Stick Decals. Self adhesive Deals.